Welcome to Conway Chiropractic Center! For over five decades, Conway Chiropractic Center has offered patients natural health care, including both chiropractic and massage, in order to provide the best in pain relief and to help them achieve optimum health and wellness. Not all Conway chiropractors have healing in their blood, but Dr. Lee Kelley of Conway Chiropractic Center comes from a family of chiropractors. 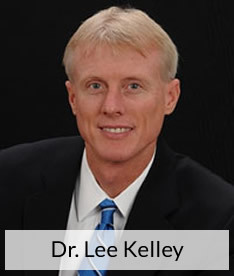 Seeing the amazing results of chiropractic care prompted Dr. Kelley to take up the family profession. Please give us a call to schedule an appointment to learn how chiropractic care may be able to help you achieve the true health you desire. Call our Conway chiropractic office today! I no longer have to take any pain medication and I actually feel like a human being again. Thank you Dr. Kelley, Conway Chiropractic Center and Staff, for your excellent treatment, kindness and caring services. Take a step closer to a pain free life and give Dr. Kelley a call today!